So here it is. October is upon us. Tonight, even the lights at the top of the Empire State Building will glow pink. And Quinn and I are in New York City to experience it. Chris will join us this weekend because he wanted to buy Quinn a hot dog on the Battery Park Staten Island ferry as we make our way to the Statue of Liberty. Still, we're not just here for the cooler temps, the hot dogs, or even the pink lights. 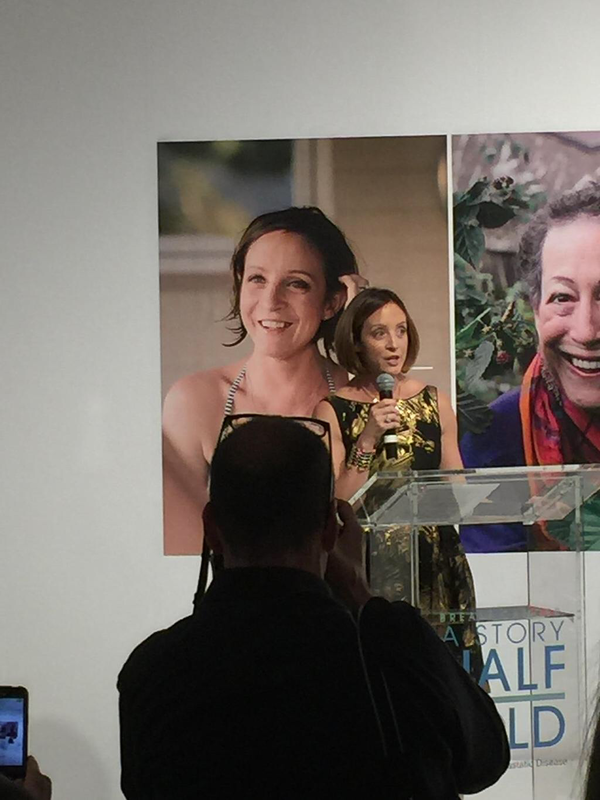 Quinn and I flew out for the launch of a Pfizer-led initiative, A Story Half Told, that aims to change the breast cancer conversation to include stories of those of us living with metastatic breast cancer. The project debuted at Milk Studios last night with a gallery opening of photo essays documenting a day or two in the lives of five of us women, the idea being that photography can make a compelling impact in a way that words often can't or don't express. Universally, the essays were poignant, raw, and intimately beautiful. You can view them all in their entirety here. In particular, the behind the scenes footage of Holley Kitchen's experience with her photographer, Angelo Merendino, had me completely choked up. In addition to the photo essay, I was asked to speak at the event. Thank you all so much for being here for the launch of A Story Half Told. 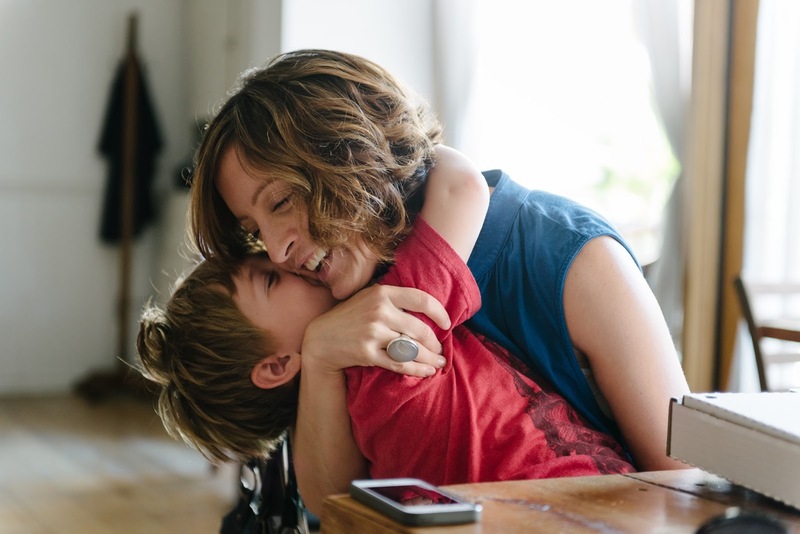 My name is Jen Campisano, and this is my son, Quinn — the light of my life. When Pfizer asked me to be a part of this project a few months ago, I jumped at the opportunity to share my story to a wider audience, to — I hope — give a better idea of what life looks like after a metastatic breast cancer diagnosis. Mostly, it looks like life, with a few more doctor’s appointments. There are still kids’ birthday parties to attend, laundry to be done, backyard pools to swim in, bedtime stories to be read. There are also port draws, CT scans, chemotherapy appointments, and follow-up visits with my oncologist every few months. What I want you all to understand from this exhibit is that metastatic breast cancer affects women at all stages of life, from all backgrounds and ethnicities. Cancer does not discriminate. It is a terrifying, life-altering thing, to be told you have incurable cancer, that you’ll always be in treatment. But I want you to also see how each of us are living in spite of our illnesses. Most days, we are thriving instead of cowering. We allow ourselves the freedom to rest and recuperate when we need it, but then we get on with the business of life — caring for our children, grandchildren, communities, gardens, and ourselves. We fall down and then stand up again and again and again, even in the face of grave circumstances. It is what we do. Quinn doesn’t know any different. I was diagnosed when he was just 5 months old, more than four years ago. I don’t know any different as a mom. We have been together every step of this, he and I. When I was diagnosed, the statistics said I had a 1 in 5 chance of watching my son start kindergarten. Because of some incredible drugs and my dogged determination (my husband calls it stubbornness) and some very good luck, I have had no evidence of disease for nearly two years now. I still receive a targeted chemo every three weeks as a sort of insurance policy. I had treatment Monday, then flew out here from Phoenix yesterday when I’d normally be recovering on my couch. I feel a little nauseated, and not just because I’m nervous about speaking in front of all of you. God willing, I will walk Quinn into his first day of kindergarten next August. With new therapies on the horizon, there’s hope I will dance with him at his wedding, too. I want that to be the reality for all of us living with metastatic breast cancer. That is my hope for this project: to shed more light and understanding on this disease so more research gets funded so more of us can get back to the business of living. I am very proud to be a part of this exhibit, which so beautifully portrays the realities of our various lives. With that, here is the incredibly talented photographer who captured my story, Pei Ketron. Maybe we can start to change the conversation about metastatic breast cancer by sharing our stories in new, compelling ways. Please spend some time on the Story Half Told website. Get to know these women, their stories. And then share them, please. The world needs to know, especially as Pinktober descends and pink ribbons fly all around us. Disclaimer: I worked with Pfizer on a collaboration to raise awareness about metastatic breast cancer. The opinions expressed in this blog post are mine, not Pfizer's. There should be more projects like this one. Glad you were part of it to speak the truth about this disease. Thanks for sharing your experience. Will check out A Story Half Told. I love how this project came out! I heard about it beforehand and was super excited. I hope you got copies of all of the amazing photos! I'm working on getting those! Thanks for the feedback! !